Dan Biggar hits the right post with the conversion, failing to add the two points. That's a great try assist by Alex Mitchell. A series of passes by Northampton results in a try for Tom Collins. A gap opened in the defence and Harry Mallinder took full advantage. Lewis Ludlam has made 10 good tackles so far this game. Northampton decide to make a substitution, with David Ribbans being replaced. The defensive line has been broken as Semesa Rokoduguni goes through the gap. Northampton make a substitution with Alex Mitchell coming on. 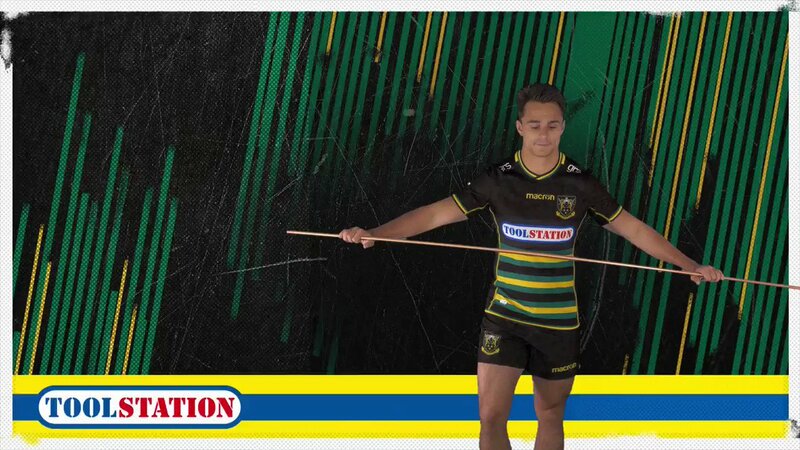 Northampton make a substitution with Jacobus Reinach coming off. Freddie Burns makes no mistake with that conversion attempt. Elliott Stooke sets up the try. Great hands by Bath leads to a try for Joe Cokanasiga. What a run here by Freddie Burns as they gets over the gainline!. Bath decide to make a substitution, with Luke Charteris being replaced. Semesa Rokoduguni makes the break as the defence re-enacts the parting of the red sea. Northampton sub Ehren Painter comes onto the field. Ben Franks departs for Northampton. Andrew Kellaway comes on for Northampton. Freddie Burns has an attempt on goal with a drop kick, but it falls well short. Freddie Burns takes the penalty but the ball didn't come round, staying right of the posts. Freddie Burns intercepts the pass to race ahead and score the try for Bath. 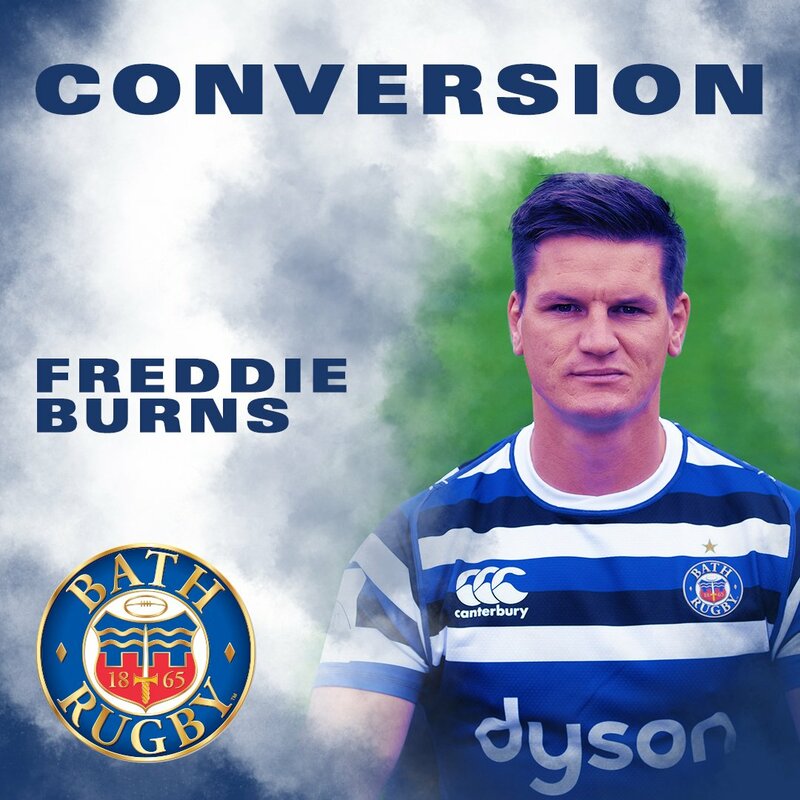 Fabulous play by Bath has led to Freddie Burns being able to wriggle through a gap. 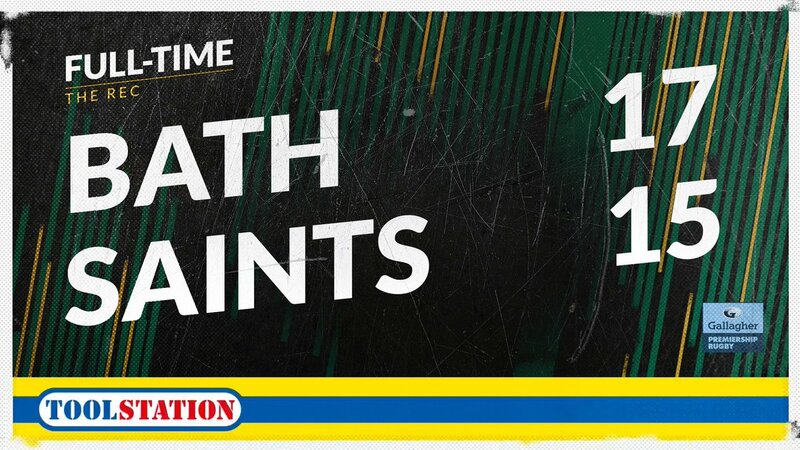 The kick through from Northampton has allowed Jacobus Reinach to touch down. This is dangerous for the defence as Joe Cokanasiga bursts through to advance the Bath attack. A gap opened in the defence and Lewis Ludlam took full advantage. Freddie Burns steps up to take the penalty but pulls it wide and to the right. The ball strikes the post and Bath claim a narrow victory! !